Join the Travel Hags for a Family Camping weekend at Harpers Ferry West Virginia October 26-27, 2013. We’ll be Camping at the Harpers Ferry KOA (cabins are available) where they’ll have lots of activities for the kids (haunted house tour, crafts, games). On Saturday we’ll head to the National Park which covers the historic town center, maybe hike part of the Appalachian Trail or climb to Jefferson’s Rock for magnificent views of the confluence of the Shenandoah and Potomac Rivers. 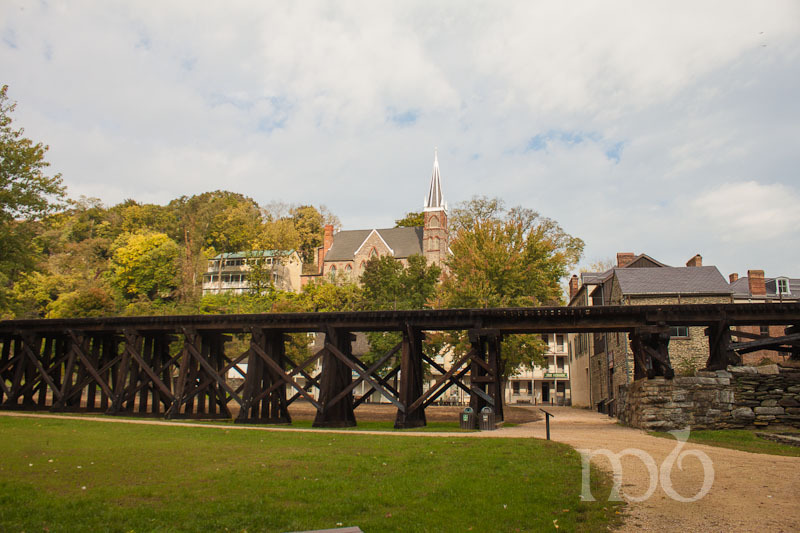 This is a great opportunity to see Harpers Ferry when it’s most beautiful – in full Autumn color. The town played a key role in the Civil War and has kept much of its historic integrity. Saturday evening we’ll do a group meal at the campground, then head off to the Harpers Ferry Ghost Tour – the #2 rated attraction in Harpers Ferry and the #1 rated Ghost Tour in America (Trip Advisor). It’s also the oldest continually running ghost tour in America. Harpers Ferry is full of ghosts. 1. Make your reservation early at Harpers Ferry KOA. Campsites, especially cabins fill up early. The campground has lots of things for kids to do over the October holidays. Camp in a tent, a cabin or bring your camper – full hook ups are available. 2. Come prepared to contribute to the group dinner on Saturday night. Bring a salad, dessert or a main dish. Everyone brings their own drinks. 3. Come with cash to pay for the Ghost Walk – Check the Harpers Ferry Ghost Tour website for more information. Tour cost is $12 for adults and $9 for kids. You pay on site. 4. Let us know you’re coming – email tours@travelhag.com to reserve your spot with our group so you can participate in the group dinner and the ghost tour.